Southern cat tails, photographed at Loxahatchee National Wildlife Refuge, Boynton Beach, Palm Beach County, in March 2017. 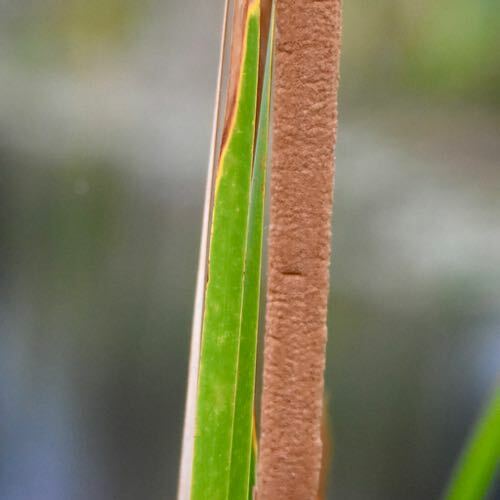 Cat-tails arguably are the most recognizable group of wetland plants in North America, maybe on the planet. They are absolutely ubiquitous. Worldwide, there are someting like 30 species of cat-tail scattered on every continent save Antarctica. Two of these are native to Florida, southern cat-tails, Typha domingensis, and common cat-tails, Typha latifolia. Southern is the most common type found in South Florida, and has a range that extends southward into South America. Common cat-tails is on the rare side here, but its range spans North America's two coasts and extends far into Alaska and northern Canada. The common characteristics of both cat-tail species are their long, slender leaves and brown, fuzzy flower spikes. Cat-tails can reach 9 feet in tall, while the flower spikes are as long as a foot. The brown spikes are actually a collection of tiny flowers. The distinguishing feature between the two South Florida species is the flower stalk: southern cat-tail has a gap separating the male flowers at the top and the female flowers at the bottom. Common cat-tails lacks the gap. The two are close enough genetically that they will hybridize when growing in proximity of each other. Both species form rhizomes, or underground stems, that allow the plants to spread and form dense colonies. In fact, they can become the dominant plant form in places. Cat-tails are incredibly useful plants. 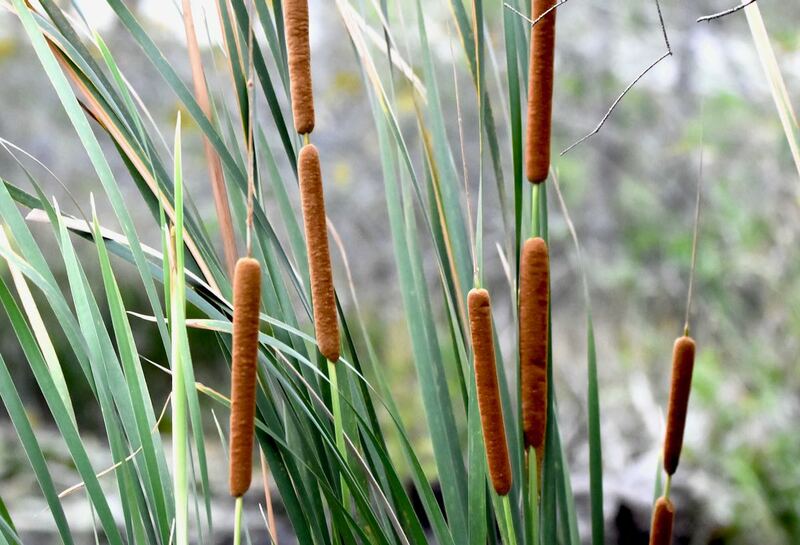 Any Boy Scout will tell you that cat-tails are the Swiss Army Knife of survival plants. They can be used for food and fuel. The rhizomes are starchy and fairly high in protein; the heart of young plants can be eaten raw or boiled, as can the leaf bases. The pollen can be used like flower. They can be used as candles, for bedding, to make biofuels, insulation and paper.